The office cubed – Life moves pretty fast. 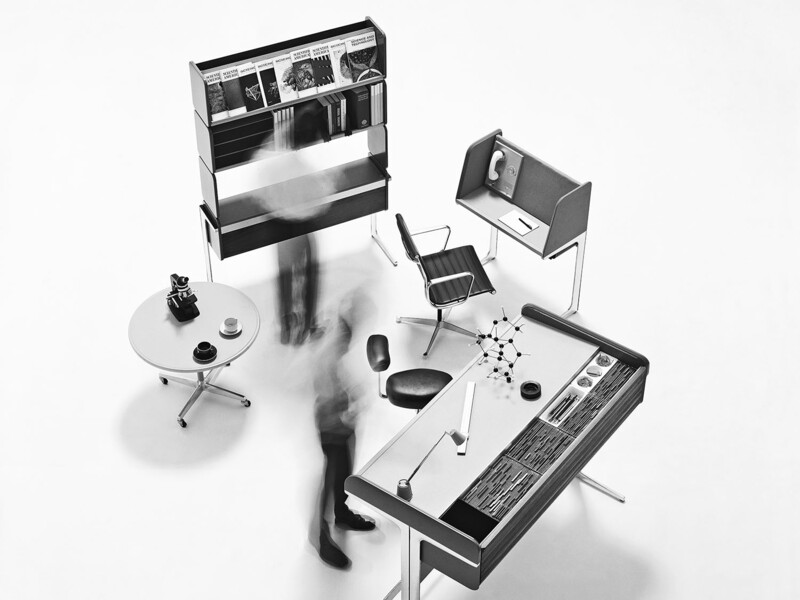 In 1964, the iconic furniture design company Herman Miller unveiled an office plan unlike anything anyone had ever seen. 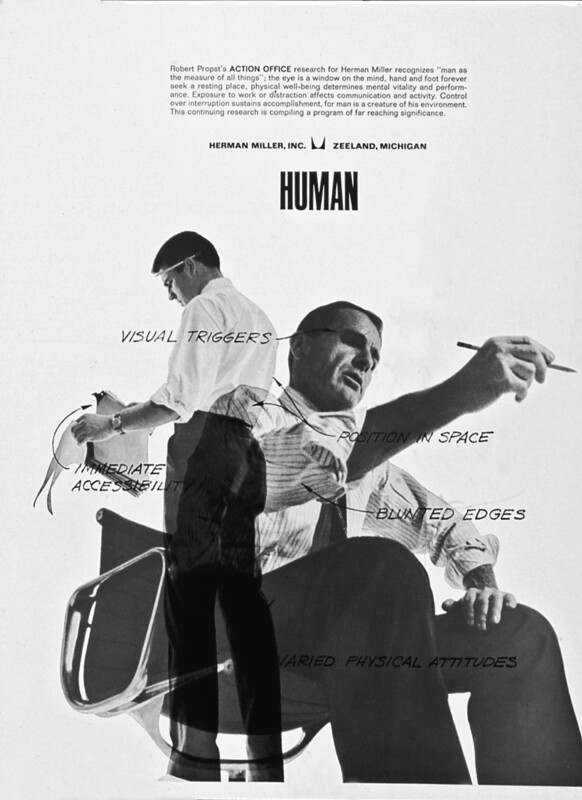 Called Action Office, it was the brainchild of Robert Propst, who was among the first designers to argue that office work was mental work and that mental effort was tied to environmental enhancement of one’s physical capabilities. 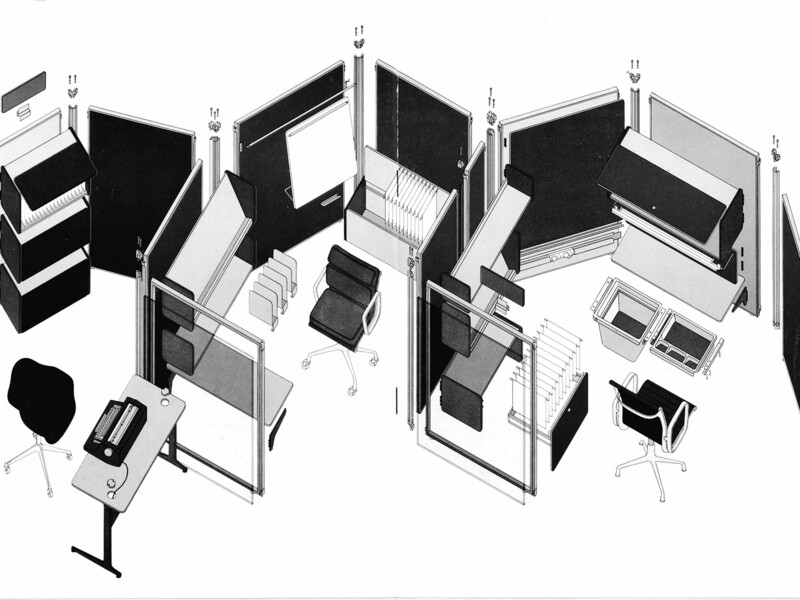 Rather than a furniture item or a collection of them, Action Office was a proposition for an altogether new kind of space. 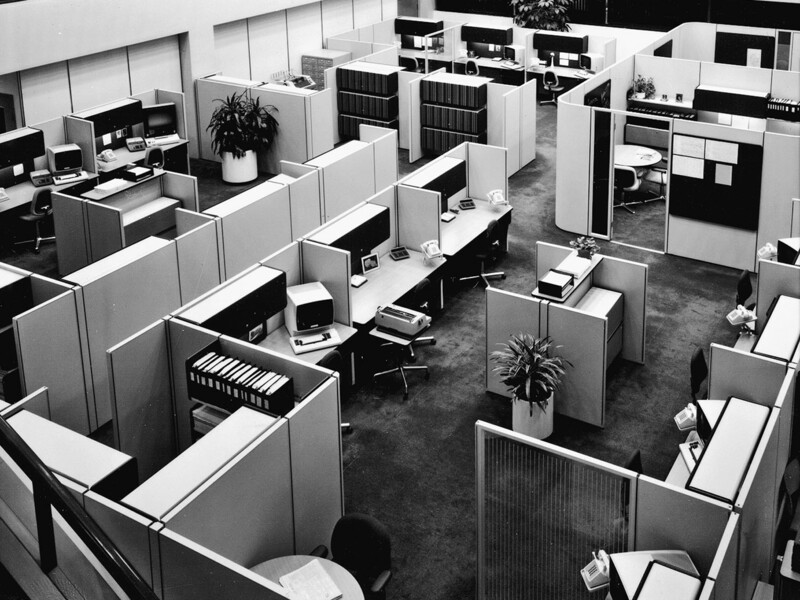 Most office designs at the time were about keeping people in place; Action Office was about movement. Advertisements for the system show workers in constant motion; indeed, the human figures in the images often appear blurred, as if the photographer were unable to capture their lightning speed. The items Nelson had designed for Action Office were beautiful, at once homey and utterly modern, nostalgic and forward thinking. His desk surfaces rested on cantilevered die-cast aluminum legs; for the standing desk, a chrome brace doubled as a footrest. A “communications center” with a telephone was acoustically insulated.